BLACKPHONE. A NEW PRIVACY PHONE. - MetaModern Magazine, The Voice of Our Digital Meta Modern Culture. BLACKPHONE. A NEW PRIVACY PHONE. In the six short months since its debut at Mobile World Congress in February 2014, Blackphone handsets are now shipping to pre-order customers. SGP Technologies, the Switzerland-based joint venture of Silent Circle and Geeksphone which created the Blackphone device, said there was an overwhelming demand for the phone. 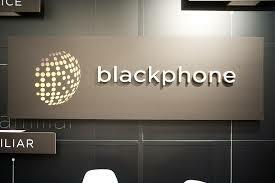 Blackphone is the first smartphone built with the user’s privacy as its core mandate. Blackphone, built on Android KitKat, gives the user private and encrypted voice, video calls and text messaging and has Wi-Fi security that stops hotspots from capturing the users wireless connection history. This is valuable for frequent travellers because their connection history can be used to track locations or patterns of activity and information about their office or home networks. The Blackphone also has a modern etch-a-sketch feature: A remote wipe tool that lets the user wipe the data on the phone from anywhere in the world. In an ongoing effort to circumnavigate the NSA’s eavesdropping agenda, Blackphone also has an anonymous web-browsing feature which which hides the users’ IP address, browser cookies and personal information. Other features via their smart VPN, prevents eavesdropping over Wi-Fi and cellular networks. Blackphone might be the first device built this way, but privacy and security have taken on renewed emphasis among consumers and companies alike.SaltDNA, a start-up out of Ireland, is focusing on security and privacy as well. Their product, SaltIM is billed as the first secure executive messenger. Instead of buying a $629 Blackphone device, SaltIM is an app and also provides end-to-end encryption for message and voice calls and cloaks the network you use. SaltIM also has ‘Global Burn’ which lets you destroy messages on both ends of the device – sent and received. SaltDNA had an exclusive showing of SaltIM at the London Enterprise Tech Meet Up in June.